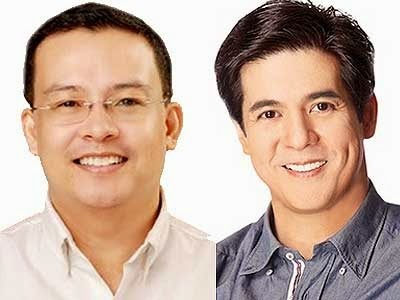 MANILA—Camarines Sur 4th District Rep. Felix William “Wimpy” Fuentebella and Ariel “Aga” Muhlach have agreed to dismiss the election protests that they filed against each other after the May 2013 elections. In a joint motion, both camps stated that their protests concerning alleged irregularities in the elections are against the best interests of the constituents. The House of Representatives Electoral Tribunal (HRET), in a notice of resolution signed by acting secretary Melissa Leonardo-Rodriguez, dismissed the protest and counter-protest filed by Muhlach and Fuentebella following the joint motion. Muhlach and Fuentebella, it will be recalled, ran for the same post, which the latter won by a margin of 2,205 votes. Shortly after the elections, Muhlach filed a protest asking the Commission on Elections (Comelec) to annul and set aside the proclamation of Fuentebella. The protest claimed that the compact flash cards used in the elections were corrupted, and that his opponent bought votes.